Flowers are more than just a bouquet to be given on a special occasion. 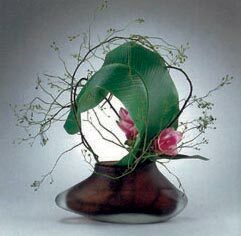 Ikebana International believes in “Friendship Through Flowers”, “L’Amitie par les Fleurs”, “Freundshaft Durch Blumen”. The 50-year-old organization based in Tokyo considers flowers the ideal medium to promote international understanding. 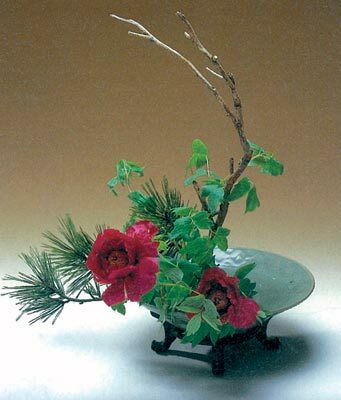 Ikebana International is committed to cultivating relationships, understanding and friendships between Japan and countries around the world through ikebana, the art of Japanese flower arrangement. The non-profit cultural agency is boasting more than 10,000 members in more than 50 countries. 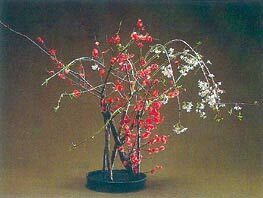 It offers everything from ikebana schools that stress traditional classic styles, while others put the accent on contemporary floral forms. In yet other schools, instructors blend the ancient with the modern, mixing philosophies of floral design with historical perspectives and diverse techniques in floral arrangements. Ikeban International, a Shadan Hojin, operates dozens of local chapters around the world, each with specific agendas including tours, lectures, luncheons, studies and exhibits. Members can join a chapter, or become a member at large. Both forms of membership are comparable, and include subscriptions to the three magazine issues each year dedicated to ikebana arrangements and other art forms. Okinawa hosts its own Ikebana International chapter, operating a fast-paced year-round series of programs and events. Noriko Sharik is the local chapter president. She invites those interested in membership to contact her at 965-7817, or by cell phone 090-9788-4501. Ikebana International members often visit the international headquarters in Chiyoda, Tokyo, for a firsthand look at the floral exhibits and displays. The organization was founded in 1956, by the late Ellen Gordon Allen.